Welcome to Bergen. Surrounded by breathtaking fjords and magnificent mountain ranges, Norway’s second biggest city attracts hundreds of thousands visitors a year. Many of them arrive by cruise ship in Bergen’s harbour a stone’s throw away from the UNESCO listed Bryggen, the city’s old wharf consisting of multi-coloured wooden houses. Once a thriving merchants’ haven during the heydays of the Hanseatic League, the shops housed in Bergen’s most iconic attraction now cater for the needs of selfie-stick wielding tourists. The city’s idyllic location on the mountainous west coast of the country has a severe impact on the local climate. Despite the fact Bergen enjoys the mildest winters of all Norwegian cities, Bergeners have to put up with an awful lot of precipitation all year round. Rain can be expected at all times and temperatures rarely rise above 20 degrees centigrade during the summer months. The first umbrella vending machines in the entire world could be found in Bergen. They never became a hit with the locals though, and have since been removed. More often than not, plumes of smoke in all colours of the rainbow can be seen rising from Brann Stadion into the crisp foggy mountain air. Situated at the foot of Mount Ulriken, the highest of the seven mountains surrounding Bergen, a few miles south-east of the hustle and bustle of the city centre and its world-renowned fish market, lays the home of local football team SK Brann – fortnightly the stage for one of Norway’s most raucous sets of football supporters. Brann, meaning ‘Fire’ in English, is a club with a well-established history and is deeply embedded in the folklore of Bergen. Unhappy with the state of the local football in Bergen a group of locals gathered to discuss the current situation in a bar in Bergen in 1908. The outcome of the meeting was a newly formed football club. Ski- og Fodboldklubben Brann was born, later on the name was changed to Sportsklubben Brann. It didn’t take long for Brann to establish themselves among the cream of Norway’s football elite with a first cup final appearance in 1917, ultimately losing the match 4-1 against Sarpsborg. Two years later the club inaugurated its current home, Brann Stadion, with a 6-2 defeat against the Norwegian national team. The new stadium, partly funded by the fans, was the first major public display of affection shown by Bergeners for their local football team, Brann Bergen – the club that would steal the hearts of the local population and many further afield. The two cup titles Brann won in the 1920s turned out to be a false start; shortly after this early success it wasn’t until the 1960s Brann set Norwegian football alight again. Spurred on by record crowds in the early 1960s, Brann averaged attendances nearing the 16,000 mark at one point, a national high only bettered by Norway’s record title winner Rosenborg at the turn of the millennium, as they went on to win two consecutive league titles in 1962 and 1963. 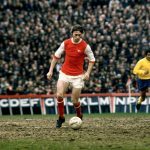 Ahead of the 1964 season Brann were firm favourites to win a third title in a row, but an injury-stricken squad only managed to win one out of their first 12 league matches. With the departure of Brann’s star player before the start of the second half of the season the writing was on the wall. Relegation was confirmed on the last day of the season. Back to square one for Brann. On the back of regaining its top flight status in 1967, the 1970s brought a decade of relative stability, a rarity in the history of the Bergeners. Under the watchful eyes of crowds that were unrivalled in Norwegian football, and the ever-growing media interest in the club, Brann scooped two cup titles during the decade. The league title was a bridge too far, however. The 1980s have been branded the yo-yo years for Brann. With four relegations and four promotions that repeated each other, switching yearly between the first and second division from 1979 until 1986. One of the promotions involved a controversial 9-1 win, a match that they needed to win by an eight goal difference, on the last day of the season in 1982. Brann’s promotion in 1986 finally brought an end to this crazy streak. Just a couple of years after the madness that the club endured during the 1980s, Brann stared relegation in the face once more in 1991. Two narrow wins in a three team promotion/relegation play-off competition secured Brann’s position in the top flight for another season. The 1990s also also saw a local rival emerging. Fyllingen IF, from the suburbs of Bergen, made their debut in the Norwegian Premier League in 1990. Their win over Brann in that season’s cup semi-final sparked,what would turn out to be a short-lived local rivalry. Brann trashed their new-found rivals 6-1 towards the end of the 1993 season to send Fyllingen back down to the second tier, a relegation they haven’t recovered from since. The second half of the 1990s started with major discontent among Brann’s supporters, the beating heart of the club. Club top scorer and fans hero Trond Egil Soltvedt was sacked for apparent disloyalty ahead of the 1995 season, although the board at the time never officially explained what he had done. Three other key players also had disciplinary action taken against them, but didn’t face the sack. The news spread like wildfire in Bergen and the rest of Norway. Brann supporters took to the streets of the historic city to express their feelings. The whole situation caused a huge divide between Brann’s 12th man, the fans. Supporters were split in a pro-Soltvedt and a pro-board stance. As a result, attendances dipped significantly and Brann’s first game of the season ended up in a 6-0 defeat at home to Molde. 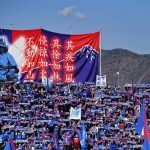 With the club torn in two and Brann once again at the bottom of the league, supporters feared the worst. Kjell Tennfjord, the manager behind the rise of local rival Fyllingen in 1990, took over during season break and led Brann to just below mid-table security, plus a place in the cup final. The problems from earlier in the season were soon forgotten. The upward trend continued the following season and saw Brann reach the quarter-finals of the Cup Winners’ Cup in 1997. The 2000s finally broke Brann’s dry spell in search for silverware. Former prolific striker and fans favourite Mons Ivar Mjelde became Brann’s first team manager in 2003, with just a solitary year of managerial experience under his belt. It proved to be a welcome breath of fresh air. His no-nonsense style brought structure to the heavily underperforming team and Brann soon reaped the rewards. Brann won their first trophy in 22 years by lifting the Norwegian Cup in 2004. Their first league title in 44 years followed in 2007. Mjelde finally left his post after a disappointing campaign in 2008, with Brann finishing eighth in the league and enduring a heavy defeat to Molde in the cup. Despite Mjelde’s disappointing last season in charge, Brann were hoping to build on the positives they had seen under his reign. However, a lost cup final and five finishes outside the top three, preceded relegation in 2014 after years of mismanagement. Brann’s second tier adventure was short-lived as they bounced back immediately after a bumpy start and eventually secured direct promotion in second place. The 2016 season has started pretty well for the Bergeners. Unbeaten at home, they sit comfortably in the top half of the table just over halfway through the season. Ahead of the Bergen-Oslo derby between Brann and Vålerenga on 9 July, I spoke to Gjert Moldestad, editor of Brann’s D12M fanzine, to get a personal feel for the magnitude and importance of Brann and the current situation and recent on-goings at the club. “Brann are like the defenders of Bergen’s history and culture. 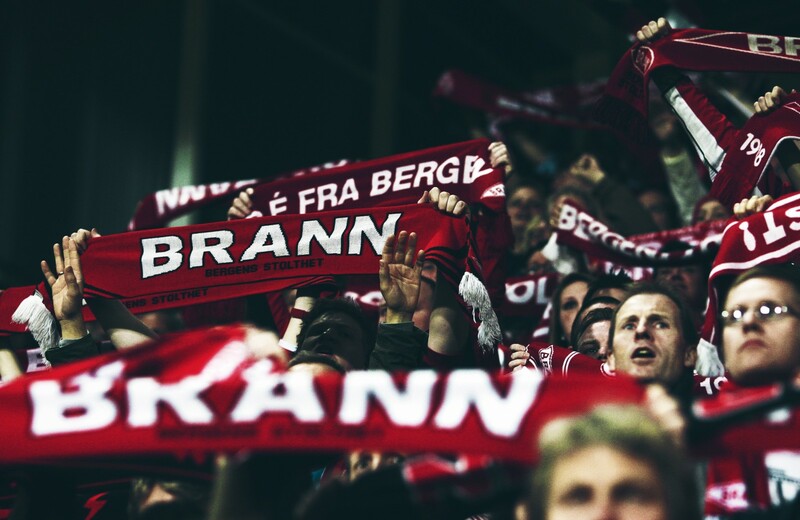 So almost everyone from Bergen follows Brann, even if they don’t care about football. So there’s a lot of pressure on the club and the players. “There’s a saying in Norway: ;No club has won the league as many times as Brann, before the league starts’. Despite all the struggles in Brann’s history, Gjert is hopeful about the future of the club. “There have been a lot of changes. A lot of people had to leave after the poor results recently and have been replaced by good people who focus on building a foundation for the future. The club has hired a new scout and a new leader for the youth players. Just under 10.500 supporters found their way to Brann Stadion on 9 July, a healthy turnout considering Bergen is almost deserted during the summer season as locals flock to warmer destinations. On the pitch Brann thrashed their rivals Vålerenga convincingly. The players celebrated wildly with their most fanatical supporters behind one of the goals. All this optimism begs the question: is Norway’s sleeping giant on the brink of waking up once more?